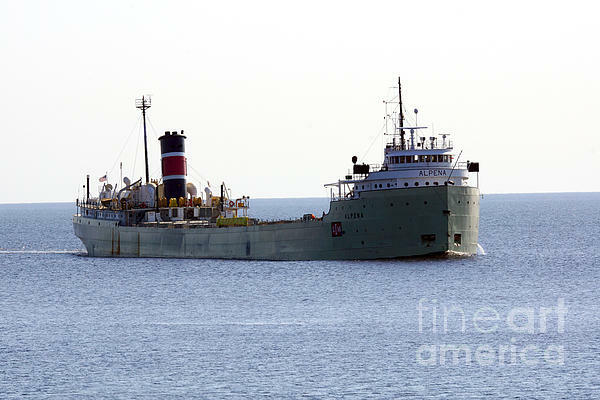 There are no comments for Alpena Ship. Click here to post the first comment. The Alpena was originally built as the Leon Fraser in 1942 for the US Steel fleet. 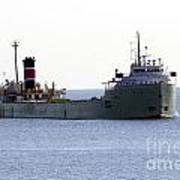 She spent most of her life carrying iron ore for them, but in 1991, she was sold to Inland Lakes Management. 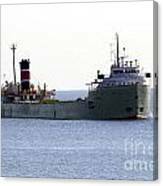 They sent her to the Fraser Shipyard in Superior where 120 feet were taken from her overall length and she became a cement boat. She is one of the oldest boats working on the Great Lakes. She also has one of the loudest whistles on the Great Lakes. She brings cement to the Twin Ports about once a month.